08 Feb 2019 --- UK-based ingredients group Tate & Lyle has reported its adjusted pre-tax profits in the last three months of 2018 were “ahead of the comparative period” in a trading update yesterday which also saw the company’s Food & Beverage (F&B) Solutions performing well. CEO Nick Hampton described that sucralose volumes were higher due to an Optimization program at Tate & Lyle’s facility in Alabama, while lower volumes were reported in North American sweeteners, mainly driven by weaker demand by larger carbonated soft drink customers. During yesterday’s conference call, Hampton, who took over the role in April 2018, and Chief Financial Officer, Imran Nawaz, who joined Tate & Lyle from Mondelēz International in August 2018, went through the company’s trading statement for the three months ended December 31, 2018. He went on to say that F&B Solutions performed well with volume growth in line with the first half. “In North America, volume growth continues benefiting from our strategies to focus on winning new business in faster-growth sub categories and new channels and on gaining share with our larger customers,” Hampton added. In sucralose, volume was higher benefiting from a program to optimize production at Tate & Lyle’s facility in McIntosh, Alabama, and adjusted operating profit was “slightly ahead of the comparative period,” he noted. Meanwhile, in Primary Products, the company saw lower volume in North American sweeteners. This was primarily driven by weaker demand from larger carbonated soft drink customers, Hampton explained. “Adjusted operating profit was lower than the comparative period,” he said. The company’s guidance remains unchanged. The trading update comes at a time when Tate & Lyle has reportedly become the focus of takeover speculation. 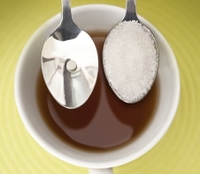 As stevia maker Ingredion is eyeing potential companies for takeover possibilities, speculation is mounting that its merger and acquisition hunt could include Tate & Lyle. Tate & Lyle declined to comment on speculation that it might be a takeover target when asked for more details from FoodIngredientsFirst. Tate & Lyle has gone through a significant strategic operational and organizational transformation from a largely commodity business into a high-quality global food ingredients business. The global ingredient supplier was originally a sugar refining business, but from the 1970s began to diversify its portfolio, eventually divesting its sugar business in 2012. Today, it specializes in turning raw materials such as corn, tapioca and oats into ingredients that add taste, texture and nutrients to food and beverages. The company also focuses on specialty food ingredients such as artificial sweeteners and other products like starch, as they carry higher margins. Tate & Lyle says that it’s a purpose-driven organization with a strengthened leadership team and a dynamic culture. As part of its transformation, Hampton became CEO in April 2018, replacing Javed Ahmed, who stepped down from this role and from the board and retired from the company after eight years in charge.